Not to be confused with sherbet, or Italian ice. The addition of vodka makes an appealingly smooth texture. Dice cantaloupe into 1-inch chunks. 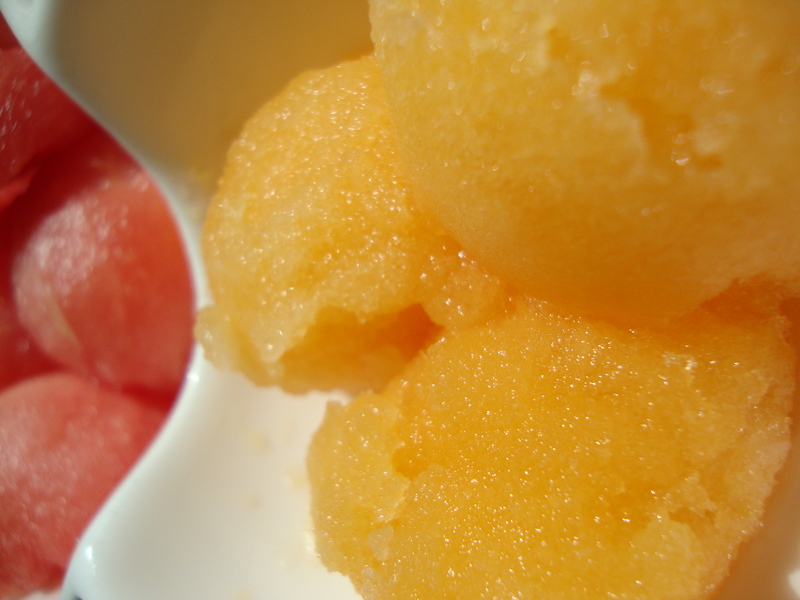 Puree cantaloupe in a blender or food processor. Add agave and vodka. Pour into ice cream maker and churn until thickened, about 20-30 minutes. Pour into container and freeze until set.